No department within an organisation has undergone such a profound change as that of IT. The platforms used to deliver IT products and services, the tools-of-the-trade and skillsets required to do the job have changed. On top of all that, the IT function is now being integrated into the company’s other operations and is expected to operate as a business-within-abusiness. 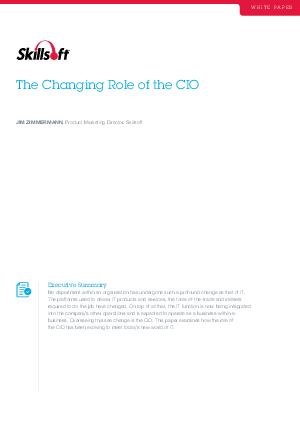 Download this paper now to understand how the role of the CIO has been evolving to meet today's new world of IT.